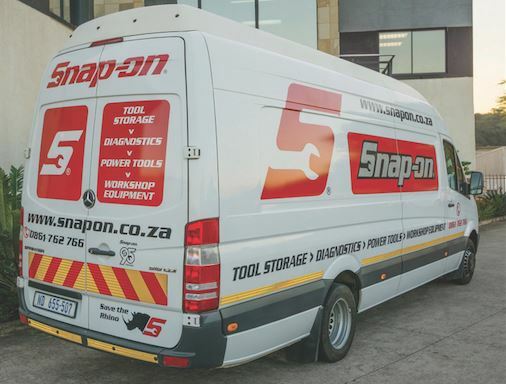 Snap-on has announced that its Mobile Showroom - a shop-fitted High-Roof Sprinter (519) - has undergone it’s 6th revamp in 3 years, and has now started its tour of the country. The revamp took place at head office in Durban, and the company's KZN based Authorized Dealers have hired the van to visit many of their customers, to show off the contents of the van. This time around the range includes, but is not limited to, an array of OEM specific specialized tools. It also showcases a number of examples of customized Tool Storage units with drawer panels & trim, which can be added as an option to the base colour units - to give customers the opportunity to own a storage unit to suit their own colour preferences. 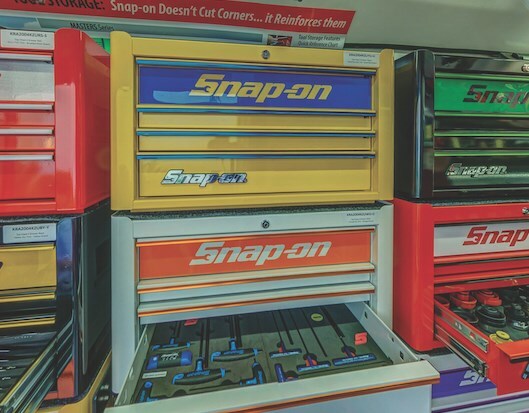 These units consist of our Snap-on Standard 7 Drawer Roll Cabinets & 4 Drawer Top Chests as well as samples of the new Blue-point 6 Drawer standard & Wide Roll cabinets. 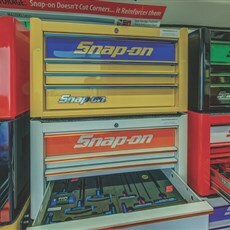 A new concept on offer and promoted on the van is the ability for Businesses or Individuals to brand selected tool storage units, and even personalize these. The range of Modular Tool Sets in Foam has expanded, which is testimony to the popularity of this Tool Control programme initiated some 7 years ago. There are over 100 complete Modular Tool sets available to view in the van, which are neatly stored in the Tool Storage units. Other products on display include Diagnostic units, Air Conditioning Service Equipment, Cordless Power Tools and products currently on promotion as part of the company's Featured Tools programme.